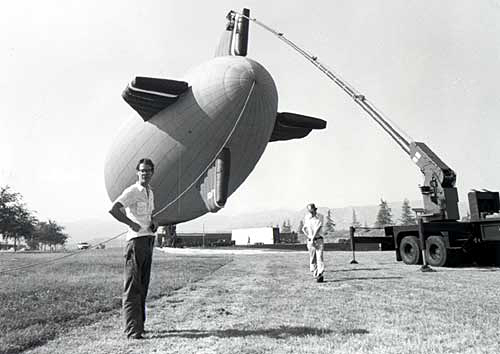 A crane from Southern California's "General Lift" company inspects the upper fin of what appears to be a Stokes thermal airship. 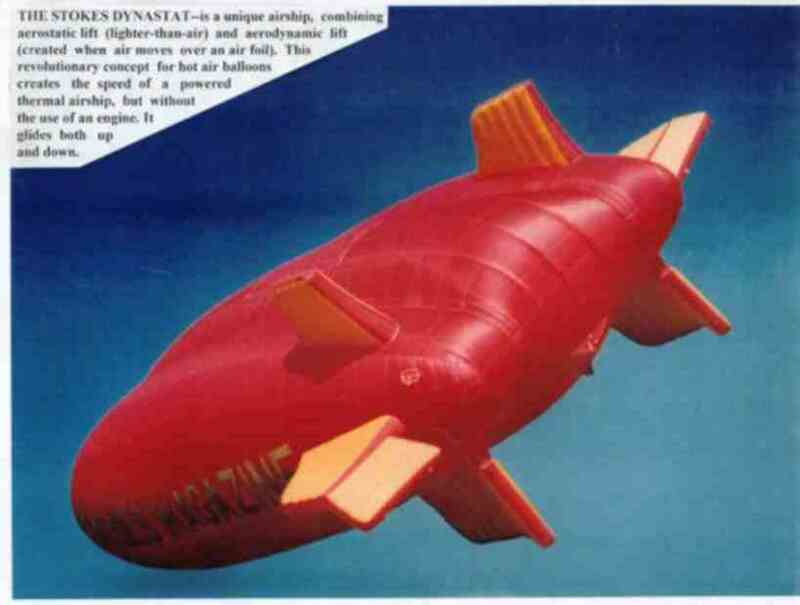 The Stokes "Dynastat", a modern reinvention of a concept dating from the 1860's by Solomon Andrew's "Aereon"
This airship is not yet confirmed as a Stokes, but it appears to share all the common characteristics. It also bears a striking resemblance to the one shown at right, which is said to be a Stokes but also not confirmed. 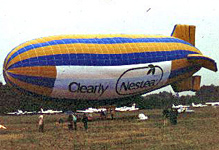 This photo appears to show a slightly stretched version of the airship at left, with extra circumferential load tapes for reinforcement. Little is known about George Stokes and the thermal airships he designed and built. This section will hopefully grow in size as more information is available. If you have information to provide, please share by emailing me. 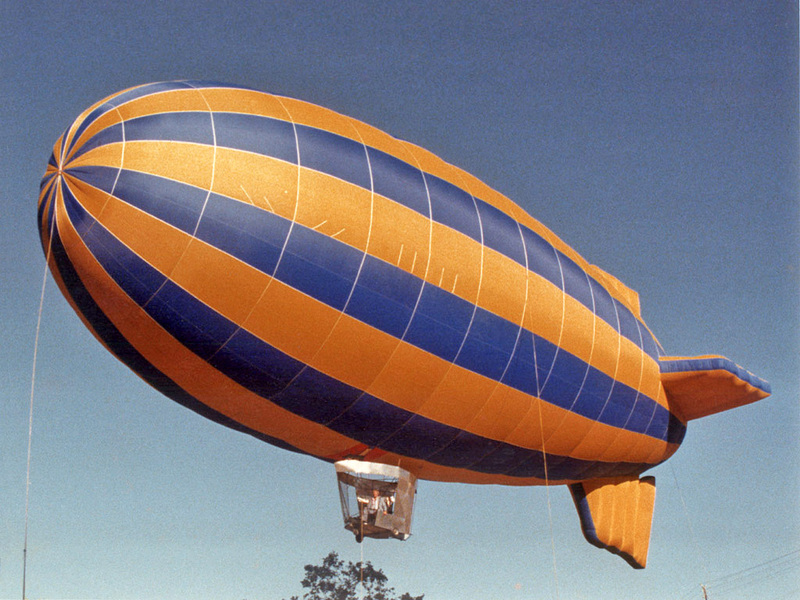 George built what was termed a "Jungle Spaceship" for the famous explorer Otis Barton. 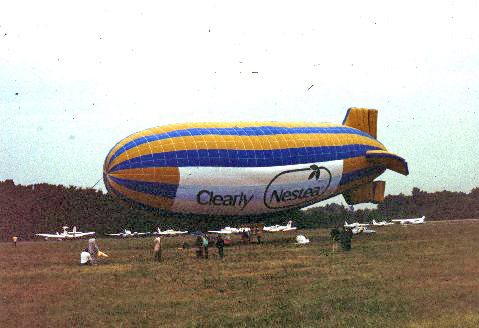 Flown in 1978, it is apparently the first attempt to use a hot air airship to explore the rainforest canopy. Current projects in this area are undertaken by the Radeau des Cimes organization. 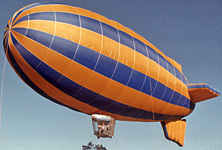 George designed the Busch and Budweiser Thermal Airships developed by World Balloon from 1979 through the early 1980's. 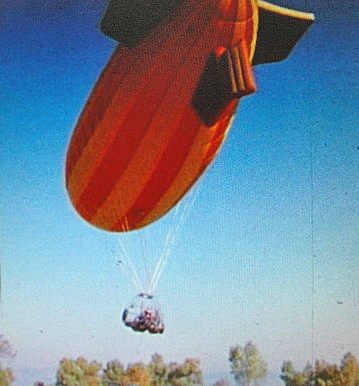 In the early 2000's, George was involved in the design of SkyMedia Airships' Experimental SMA airship. Below is a list of registration information from the FAA database. It is not known whether any of the below aircraft were built, or in the case of those issued airworthiness certificates, flown with any success.